Users can also choose between three internationally acclaimed artists, Zeptonn, Mike Lowery and Marloes de Vries, for the graphics and illustrations. C is for Cow is a simple but effective app that is perfect for your youngest children. This is the second of the 5 best spelling apps for smartphones and tablets and it teaches basic letter and word recognition, phonetics, and draws a connection to corresponding animals. Choose from two modes: alphabetical (which goes through animals in alphabetical order) or random (animals are tested in a random order, which helps kids exercise their knowledge). Children are able to see and hear letters and words while enjoying the animal fun! 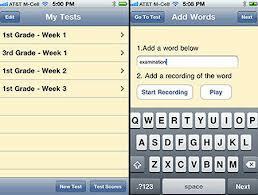 The two TeachMe apps are sophisticated, award-winning apps that cover math, sight words, and spelling. Each subject has five levels that children can advance through as they can handle the increased difficulties. The interactive teacher, Mimi Mouse gives feedback and instructions to fully interact with kids and make learning fun. Parents can even set the app to give out virtual rewards whenever children get a certain number of questions correct! In addition, unique user accounts can be made for up to twenty different children. Once children have mastered TeachMe: Kindergarten, they can advance to the next level of TeachMe: 1st Grade which is why this is one of the five best spelling apps for smartphones and tablets. This award-winning app helps kids develop reading, writing, and spelling skills with activities that use phonics and graphics to create words. Young children learn the fundamentals of writing and spelling while older children are challenged with complex crosswords in the three more difficult levels. Customizable in many different ways, the app uses animations, interactive effects, and sounds to keep kids interested while a bank of over ten thousand words is available throughout the different levels. The Electric Company Wordball is certainly one of the 5 best spelling apps for smartphones and tables as well as an interactive phonics game that is based off of the popular PBS show, The Electric Company. The app uses a series of educational videos that allow kids to interact as kids collect wordballs of letters. In the second part of the game, kids use their previously collected wordballs to complete and create words for points. The level of difficulty and need for dexterity makes this app better for kids who are at a higher level. The Electric Company Wordball! is available for iPhone, iPad, and iPod Touch and is completely free! 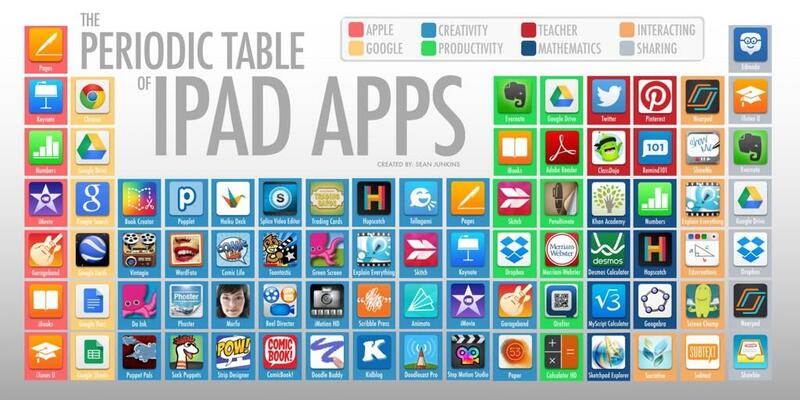 The apps, courtesy of readingrockets.org, assist with reading, writing and spelling. Interactive Alphabet offers alphabet matching for babies, toddlers, and preschoolers. Your child can hear words, letters and phonics sounds. This app also includes a “Baby Mode.” It auto advances every 15 seconds. This interactive game also teaches upper and lower case letters. Simplex Spelling Lite is designed to improve spelling and reading skills in a fun and interactive way by using “reverse phonics.” Simplex Spelling Lite contains over 50 high frequency English words; it also enables students to build on each word, which goes above and beyond the sheer memorization of words. Simplex Spelling Lite enhances understanding in a variety of students as it appeals to audio, visual and tactile learners. It is a great tool to have for kids learning to spell, remedial students, or those learning English as a second language. FirstWords Deluxe helps kids learn to spell words in five categories with FirstWords Deluxe: Animals, At Home, Colors, Shapes, and Vehicles. Parents can add more categories with in-app purchases. Touching the picture reveals the name of the object. As kids drag and drop letters into boxes to spell the object featured, they can practice sounding out letters with the phonics feature or hear the actual letter names as they’re placed — or go all out and turn off the sound. Kids get good spelling practice while working on listening skills and building their vocabulary. FARM 123 – STORYTOYS JR iPhone/iPad – £1.49. Farm 123 aims to be a digital version of pop-up books, based on a character called Farmer Jo and his animals. It’s aimed at pre-school-age children, teaching them to count from one to 10 with cows, pigs and eggs. FUNIMAL PHONICS iPhone/iPad – £0.69. Children and parents are well-used to phonics alphabet-learning now, and this stylish flash-cards app gives the discipline a friendly animal face. It’s also notable for its inclusion of both US and UK English accents when speaking sounds. LITTLE DIGITS iPad – £1.49. This marvellous numbers app gets your child to count by placing fingers on the iPad’s touchscreen, with cute cartoon numbers appearing, depending on how many fingers are pressed. Simple maths tasks give it an educational angle too. MY A-Z iPhone/iPad – £1.49. 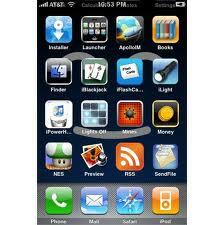 There are lots of alphabetical flash-card apps for iPhone, but this one stands out for its personalisation. Children can add their own photos and sounds for letters – a picture of their dog and its bark for “D”, and so on. NUMBERLYS iPhone/iPad – £3.99. Despite the name, this beautiful app is more about letters than numbers. It’s a mixture of games and storytelling to explain the origins of the alphabet, with a visual style influenced by films like Metropolis and the original King Kong. COUNTING WITH THE VERY HUNGRY CATERPILLAR iPhone/iPad – £1.99. Eric Carle’s famous book about a fruit-munching caterpillar has been turned into a fun educational game with a mathematical skew. Your child identifies, counts and adds the foods over five levels, ensuring it appeals to a range of ages. AROUND THE CLOCK iPhone/iPad – £1.49. This time-focused app wears its educational spurs lightly. It’s a collection of 24 mini-games, one for each hour of the day, from toothbrushing to pancake making. The idea is to familiarise children with the clock. BAREFOOT WORLD ATLAS iPad – £2.99. If you have a child who is just becoming interested in geography, this is an essential buy. It’s a digital globe with music and animation, drawing kids in to the meat of its text and photographic entries on countries, people and nature. COOPER’S PACK: LONDON CHILDREN’S TRAVEL GUIDE iPhone/iPad – £1.49. For parents taking their children to London as a tourist, what better guide than a stuffed dog named Cooper? This travel app is a story-based guide to London’s history and attractions, with plenty of interactivity to keep children reading. FAMIGO SANDBOX Android – Free. If you’re handing over an Android device to a child, Famigo Sandbox is invaluable. It filters the apps on your phone to only show those suitable for children, locks off other features, and recommends new apps they might like. MOVE THE TURTLE iPhone/iPad – £1.99. Can five-year-olds start learning to program? They can with this app, which aims to teach the basics of computer programming by planning tasks – all presented by a friendly turtle character to spark their imagination. THE HAPPY FACE iPhone/iPad – £0.69. Most parents have used a reward chart for their children at some point. This turns the idea into an app for use while out and about, moving children’s photos onto a happy or sad face according to their behaviour. YOUR FANTASTIC ELASTIC BRAIN iPad – £1.99. Aimed at five-year-olds and up, this is a book app all about brains, using illustration and animation to explain some complex science, while throwing in “brain workout” games to help children stretch their grey cells. Click on the link to read all 50. Made with the iPad in mind, this app delivers fresh, animated movies every day on topics including earth awareness, financial literacy and more. Kids take interactive quizzes to show what they know. Rhyme, spell, write and read with PBS characters Alpha Pig, Princess Presto, Wonder Red, and yes, Super Why for an entirely entertaining educational experience. Kids won’t even realize they’re learning. What happens when you combine classic children’s books with cutting-edge technology? Storytelling magic! USA Today, Huffington Post and mommy bloggers count themselves among iPad/Seuss fans. A group of parents created these talking and spelling flashcards. On the iPad, ye olde arte of learning becomes animated, interactive, lively and fun. This guide to the night sky shines brightly among iPad’s constellation of educational apps. It’s a window into more than 9,000 stars, planets, constellations and other celestial bodies. Teaching kids ages 3-7 to count, read, spell and even compose music has never been quite as much fun as it is on the iPad. What would Beethoven have done with an app such as this? Fans of this iPhone app will want to check out the iPad version, with all-new high-resolution drawings that are five times larger than the originals. Thanks to the encyclopedia giant’s interactive calendar that includes pictures, sounds, music and features, history may not seem so ancient to kids. Stampeding toward an iPad near you, this app combines math with zoology for a hair-raising learning experience (which is currently being enhanced for Apple’s latest and greatest). Travel back in time with historical maps of all kinds. High-resolution maps on the iPad just might be the next best thing to being there. 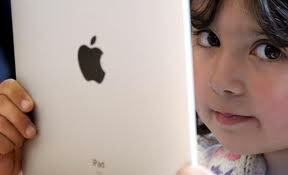 Click here to read about The Meteoric Rise of the Educational App.